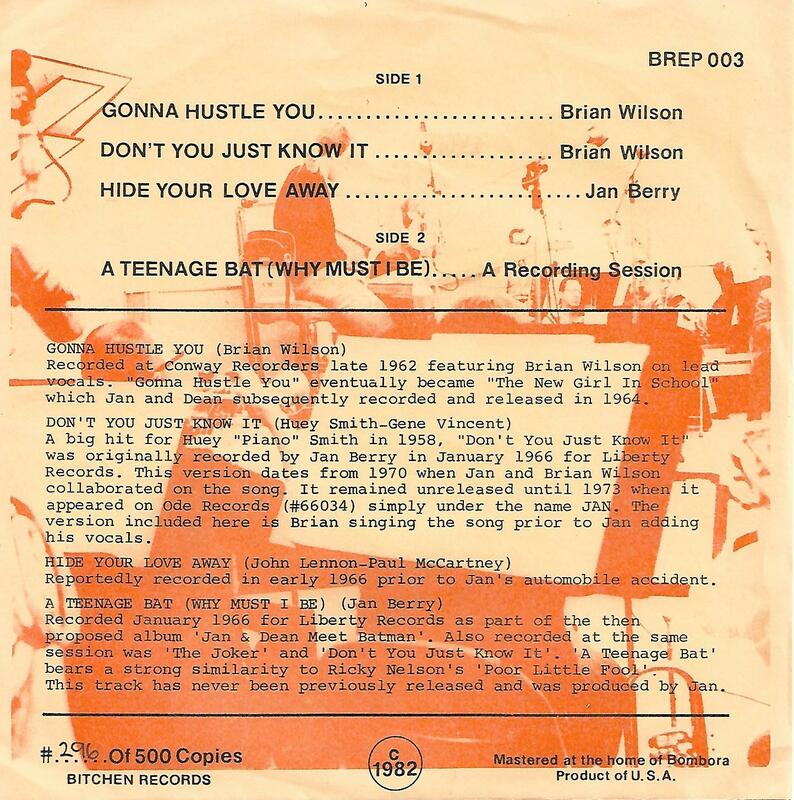 Rare 4-track EP from 1982, numbered edition of 500 copies. This copy has number 296. 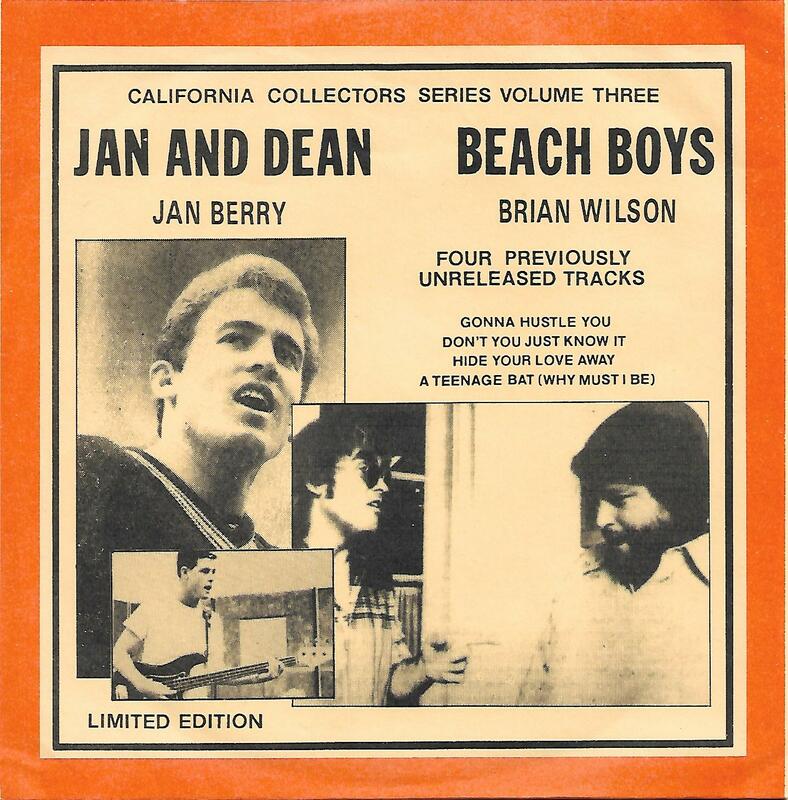 Two tracks each by members of Beach Boys and Jan & Dean.